Metro Los Angeles by Derek Cutler | Fire Apparatus Journal Inc. The Metro Los Angeles column is written by Derek Cutler. 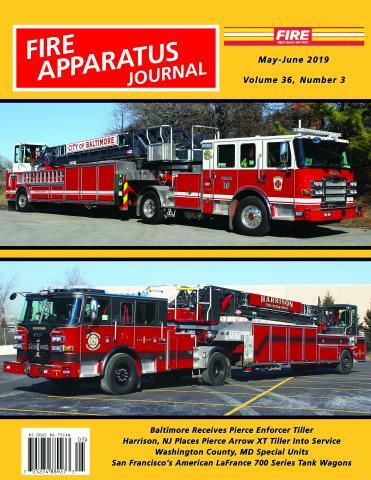 This column provides information on new apparatus deliveries and new orders placed in the five counties comprising the Metropolitan Los Angeles Area (Los Angeles, Orange, San Bernardino, Riverside and Ventura Counties). In addition, this column will also try to provide information on areas outside the Metro Los Angeles area, including San Diego County, Imperial, and Santa Barbara. The Metro Los Angeles area is home to the greatest concentration of ISO Class 1 departments in the United States. The departments include Anaheim, Arcadia, Beverly Hills, Culver City, Glendale, Santa Ana, Torrance, Vernon, and the newest department added to the list; Huntington Beach. In addition, fire coverage in the Metro Los Angeles Area, is provided by Los Angeles City, Los Angeles County, Ventura County, San Bernardino County, Riverside County, Orange County Fire Authority, Long Beach, and numerous other smaller departments. Due to the size of this area, departments are always receiving new apparatus, and some of the apparatus is as varied as the topography these departments protect. Firefighters may serve at a station in the desert one day, and be in the snowy mountains the next, or by the beach the following day. The Metro Los Angeles update is written by Derek Cutler. Derek Cutler’s interest in fire apparatus and fire department’s developed while growing up in Los Angeles. He is also a Volunteer Photographer for Los Angeles County Fire Department. He may be contacted at djcutler@yahoo.com.